Caches are seasonally available: Mid-May through September. Call park directly to confirm availability if you plan to play early or late in the season. Phone numbers are listed below. 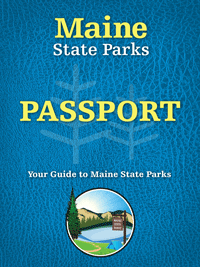 Use your existing Passport or Obtain a Maine State Parks Passport during the summer from a Maine State Park for only $1.00. Go to www.geocaching.com to create your login. Download the GPS coordinates to your GPS unit or mobile device. Use the link for each park below in #4. 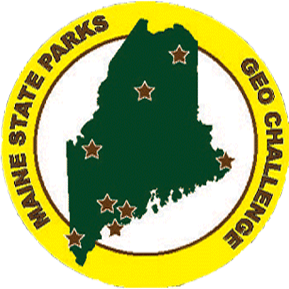 Using the coordinates, find as many Maine State Parks geocaches (during normal park hours) as you can! 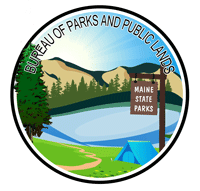 The hidden, water-tight containers will be clearly marked as official Maine State Parks Geocaches. Sign the logbook inside each container, and stamp your passport with the unique stamp from that park’s geocache.